Eric Reynolds | The CWS Team | CWS, Inc.
Having grown up in the sprawling northwest suburbs of Chicago, Eric has had a lot of opportunities to try his hand at a career choice. Eric has always been interested in photography and computers, taking a variety of computer programming and photography classes throughout high school. Upon entering college at Winona State University, he joined the computer science program. Realizing that system level programming was not his forte, he struggled with the choice of going into photojournalism or graphic design. Deciding that graphic design had a better career path, he took that route, vowing to "never program again." Eric graduated in 2003 with a Bachelor of Arts in Graphic Design and landed his first job at MLT Group. While there, he received some great instructions from his fellow sys-admin/programmer and learned the joy of website programming. Eight years later, he has developed a variety of applications still used by the company today. Eric felt that he needed a change of venue in 2011 and joined the CWS team in December. In his free time, Eric likes to develop online applications and take nature photographs. Eric and former co-worker, Jim Fogarty, created an online photography guide service in 2013 called Where Did You Take That? to help people guide themselves to great locations. 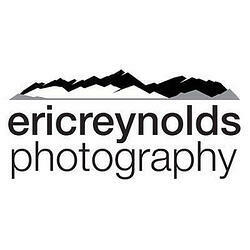 Eric also sells his landscape and nature photography through his personal photography website and Etsy stores.